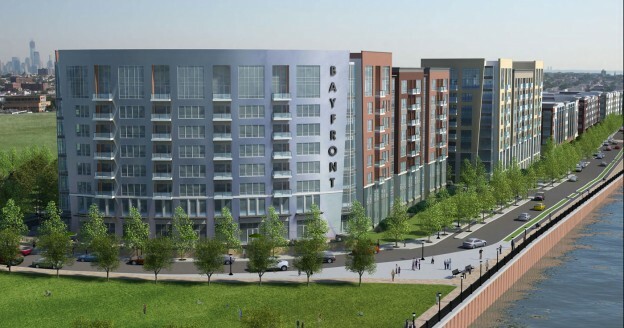 Bayfront is slated to become one of Jersey City’s newest waterfront communities. The site is located on the east side of Jersey City and ideally situated to take advantage of views to the Hackensack River and Newark Bay. The 100 acre development will have 23 acres of open green space; about 4-5 times the amount normally found in a typical Jersey City urban tract of the same size. The project will be built in phases, and the 1st 18-acre phase will include 6 blocks of residential and mixed use buildings and 8 acres of public green space that will offer waterfront walkways and passive park areas. This entry was posted in Mid-High Rise, Multifamily/Residential, Planning on November 6, 2014 by swolock.